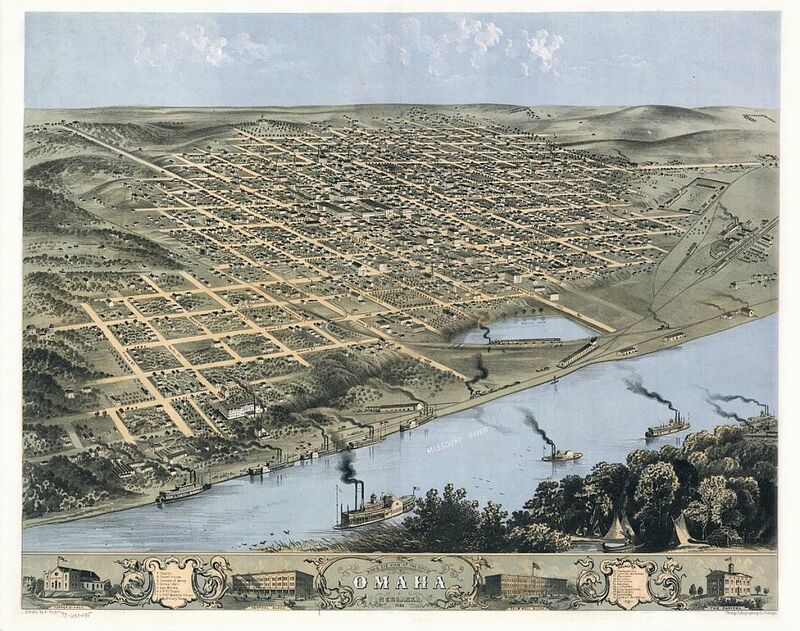 Leopold May was probably the first Jew to settle in Omaha, in 1855, when the town’s population approached 300. He had come from Philadelphia. 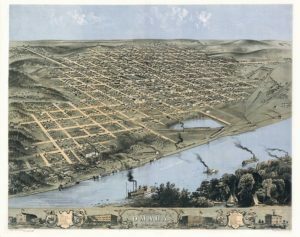 May & Weil did business with customers from both Omaha and Council Bluffs, Iowa, which was just across the river, by ferry. Leopold May served as Secretary for the Omaha Relief Association, the first charity organization in Omaha. He was a Charter Member of both the Board of Trade and the first fire department, The Pioneer Hook & Ladder Co.
Leopold May married Hannah Levi of Philadelphia, and brought her to Omaha. Soon after, they went West, probably to Nevada. Carol Gendler, “The Jews of Omaha: The First 60 Years,” Western States Jewish Historical Quarterly 5/3&4, 6/1-4.